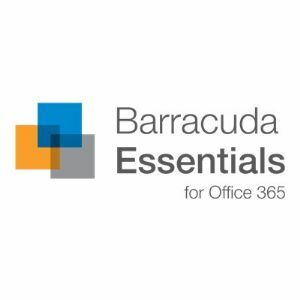 Barracuda Essentials for Office 365 with 5 year license provides critical multi-layer security and archiving for Office 365 allowing organizations to prepare, migrate, and operate faster, safer, and more efficiently in Office 365. Barracuda Essentials gives customers peace of mind and complete protection of their email, data, and cloud infrastructures. Licensed per user. Valid for 1,000-2,499 users.